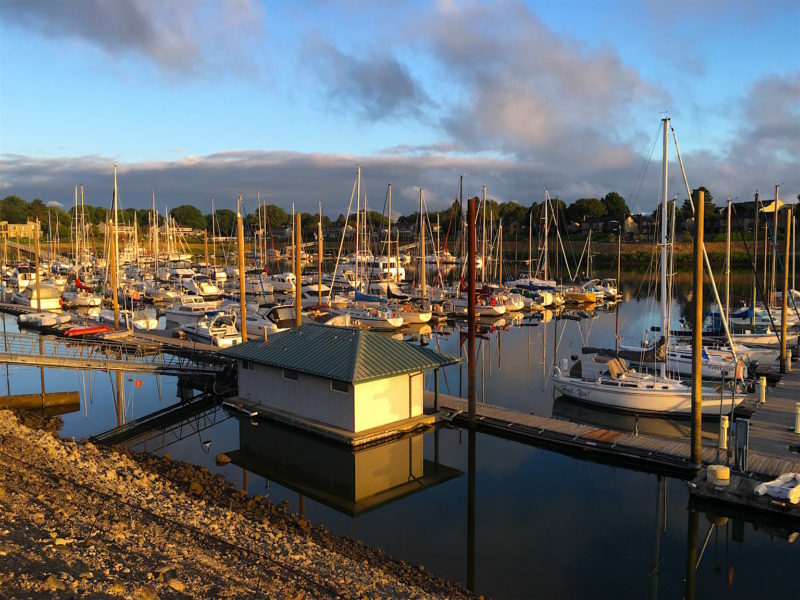 This is one of the marinas the Girl and I walk by nearly every morning here in Portland. The Girl and I wake early nearly every morning, even when traveling. Here in Portland, I found a walking path along the Columbia River not far from my hotel. We’ve been out and about just after sunrise almost every day this week. On some mornings, there is even sunshine. When that happens, the morning light is gorgeous.